President Reuven Rivlin praises deal with UN to deport some illegal infiltrators, allow others to remain in Israel. 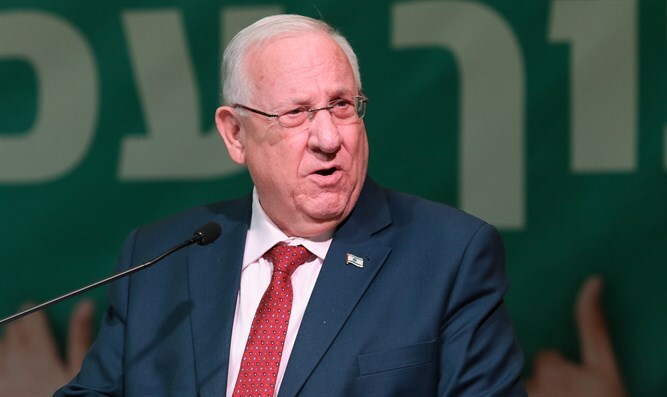 President Reuven Rivlin congratulated the prime minister and interior minister Monday evening for the agreement reached with the UN High Commissioner for Refugees (UNHCR) on the issue of the illegal infiltrators in Israel. "The important understandings will enable the State of Israel to restore the routine of life worthy of the citizens of South Tel Aviv - who live in an unacceptable reality - by means of the unprecedented deportation that was agreed upon in the outline." "At the same time, these understandings will determine the status of populations that meet the international definitions that enable their integration into the State of Israel as a strong, values-based and powerful state, to which the entire international community bears an eye." Earlier, it was reported that the government had reached a joint understanding with the UNHCR on the issue of asylum seekers in Israel, according to the understandings, the UNHCR would work to bring these populations to Western countries, while Israel would regulate the status of the remaining populations. As part of the joint understandings, the UN Commission will work, through arrangements with various Western countries, to leave Israel with at least 16,250 immigrants, while Israel will regulate the status of protected populations, most of which would have remained in Israel anyway.